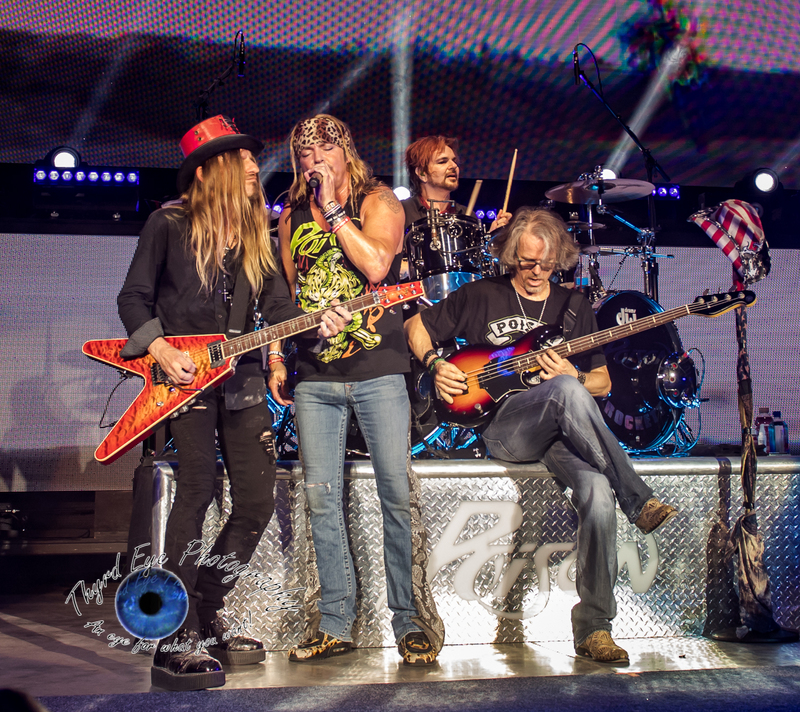 Poison performing at Hollywood Casino Amphitheatre in Saint Louis Saturday. Photo by Sean Derrick/Thyrd Eye Photography. 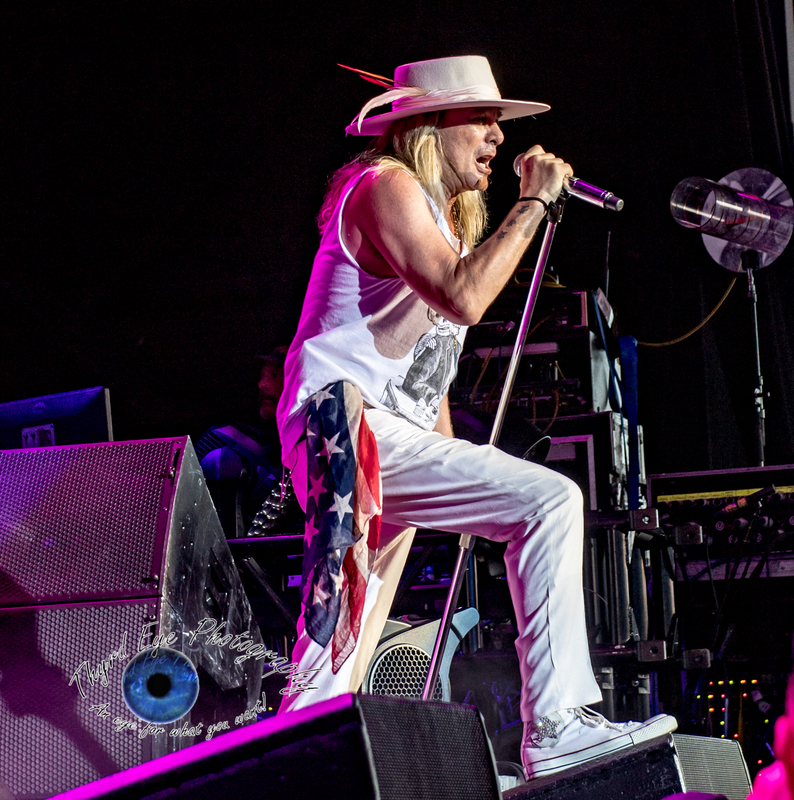 Hollywood Casino Amphitheatre in Saint Louis held a turn-back-the-clock show on Saturday with performances from 80’s stalwarts Poison, Cheap Trick, and former Cinderella front man Tom Keifer. The tour, dubbed the “Nothin’ But A Good Time” tour, is in it’s first week, but the performances already seem real tight. 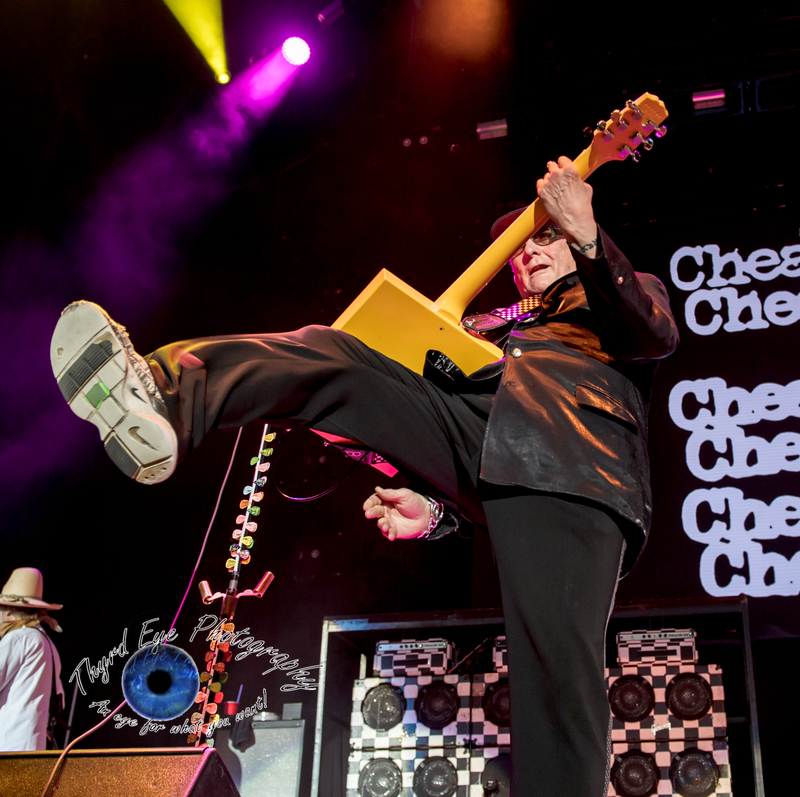 Cheap Trick performing at Hollywood Casino Amphitheatre in Saint Louis Saturday. Photo by Sean Derrick/Thyrd Eye Photography. 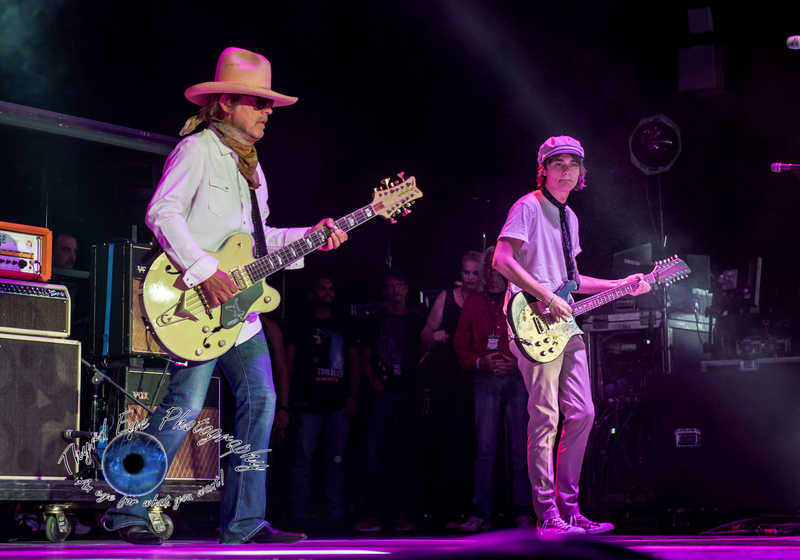 The fans loved every second, from the moment Keifer stepped onstage with “The More Things Change” I am sure many in attendance drifted back over the next four hours to memories invoked from the last 40 years from the hits that would follow. I’ve got to say I was nervous about how Keifer would sound, with all of the serious vocal cord issues he has endured over the past 27 years. But by the time he was kicking into “Somebody Save Me” that thought left my mind as I was having fun rocking with the rest of the crowd. Rock and Roll Hall of Famers Cheap Trick followed through with a hot hour long set that kicked off with their signature opener “Hello There”. 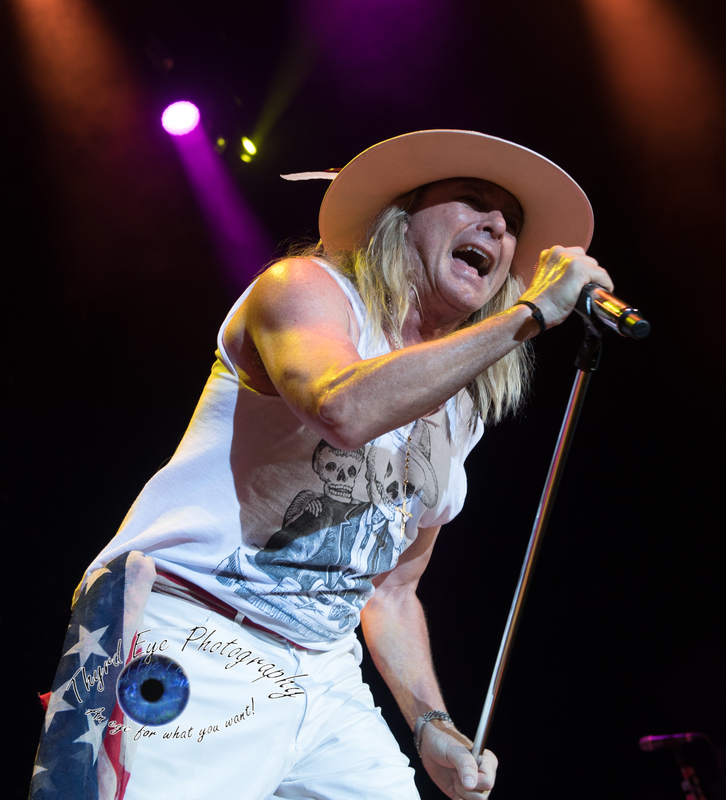 The band (vocalist Robin Zander, guitarist Rick Nielsen, bassist Tom Peterson, and drummer Daxx Nielsen) sounded tight (as usual). Even though Tom, Robin and Rick are all in their mid to late 60’s, you wouldn’t tell from their work ethic onstage. Sure, Rick’s jumps aren’t as high anymore (more like a bunny hop) but his axework is still astounding. As he played through his plethora of cool guitars with an ever-present zest his son Daxx has filled in nicely on drums since Bun E. Carlos left in 2009. 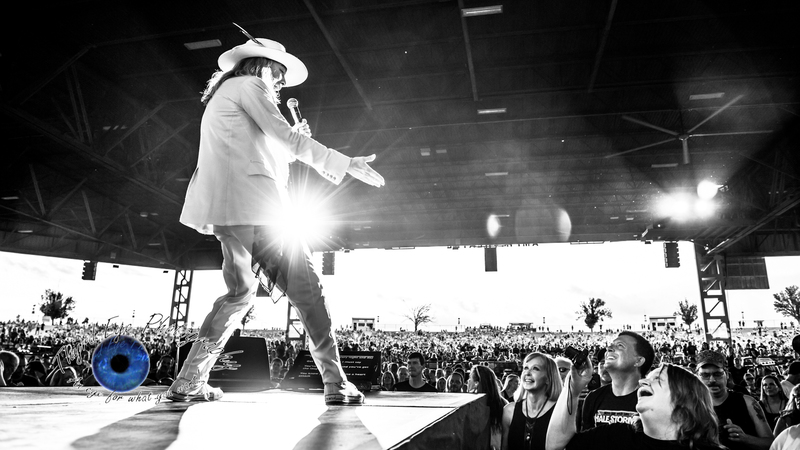 Cheap Trick really has become a family affair as Zander’s son, Robin T. Zander, is along for the tour playing rhythm guitar. Their set focused on the harder side, only hitting one ballad with, of course, “The Flame” and touched their whole career, from 1977’s “I Want You To Want Me” to their most recent single “The Summer Looks Good on You”, from their 20th studio album due out later this year. The song was released less than two weeks ago and this was only the 5th time they have played it live. The heavy Beatles’ influence paired well with the hard edge guitars that permeate and is the signature of the band. Poison had a tough act to follow but were more than up for the challenge. 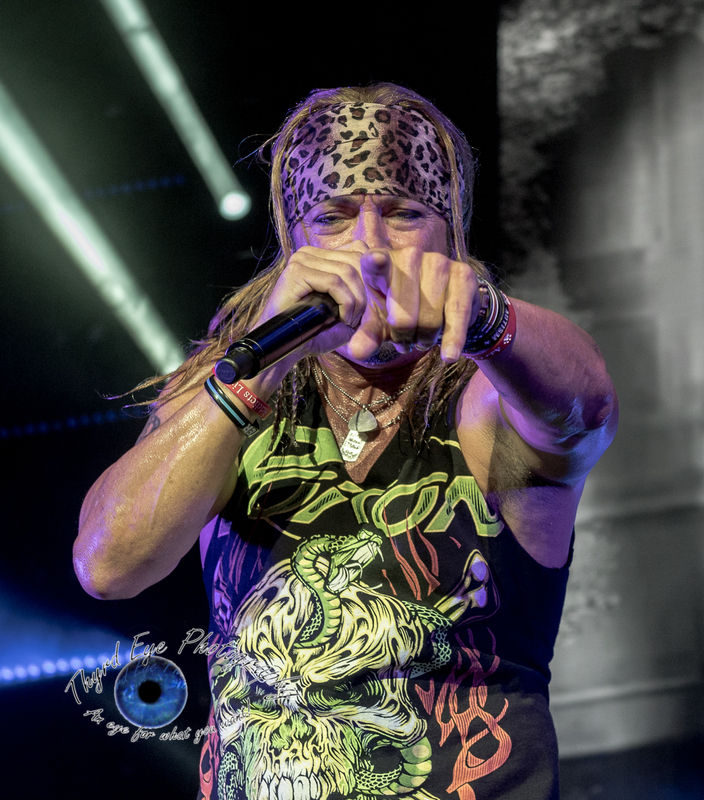 Lead vocalist Bret Michaels seemingly endless reserve of energy made me exhausted just watching him. While other “hair bands” from the 80’s may have slowed down over time I swear Michaels has the same amount of energy as when I first photographed them in 1991 in Springfield, Illinois. Michaels (along with guitarist C.C. 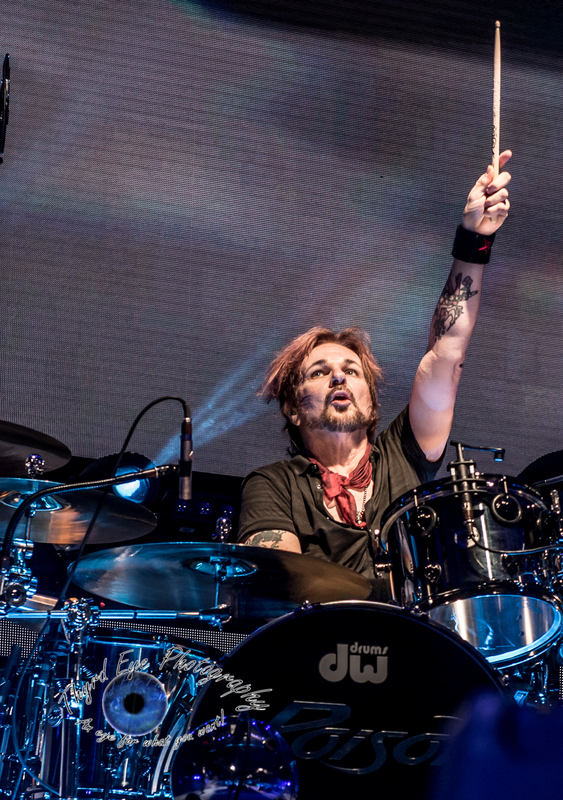 DeVille, bassist Bobby Dall, and drummer Rikki Rockett) tore through a fast moving 75 minute set that was heavy on patriotic themes and party anthems. After telling the crowd he grew up in a military family he proceeded to explain what Memorial Day means to him and proceeded to bring up members of the military to honor as the band finished up their hit ballad “Something to Believe In”. The whole show was like the 80’s all over again, with bombastic anthems, guitar and drum solos and chants of USA! USA! I know guitar solos have been frowned upon since grunge came along, but frankly I am tired of it. So what if an artist wants to show off their skills. Why is that such a bad thing? Aren’t they there to entertain? Frankly, I was happy to see a show with such delight about the individual members getting the spotlight for a few minutes to show off their hard-worked skills. To the snobs who still whine about how it’s not needed at shows or in songs, go cry yourself a river and stick with your hipster-fueled mindset. 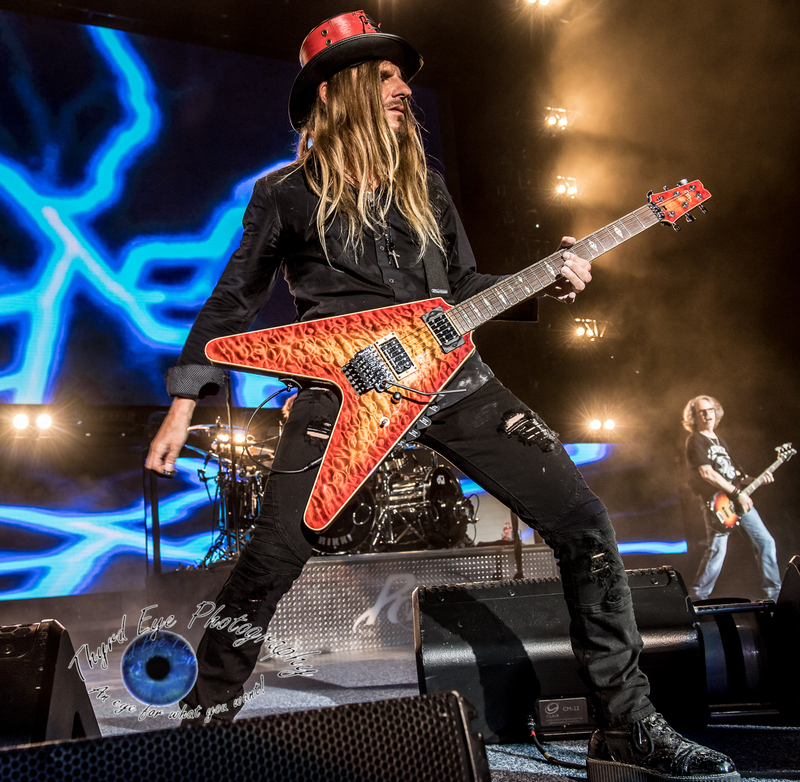 There are plenty of us who miss the solos and hoping for more guitar gods to come out to the forefront. So, C.C. 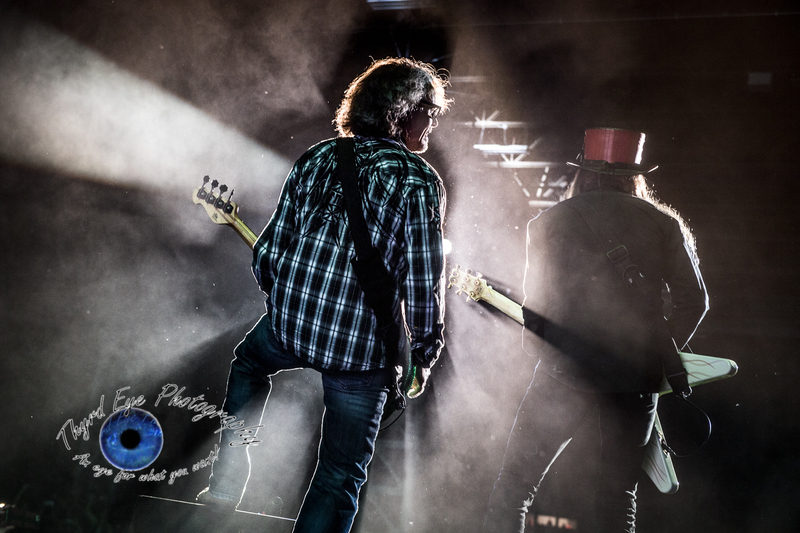 (and Rick and Rikki), keep carrying the torch with your fellow musicians out there who still long for the display of individuality at shows. Now that I am done ranting I’ll finish by saying that unlike Cheap Trick (who seem to put out a new album every other year) Poison is still riding strong on the strength of only six studio albums, and no new tracks sine 2002’s Hollyweird. The large crowd at the amphitheatre didn’t seem to mind, as they were happy just being thrown back in time and away from the issues in the world today, even if it was just for a few hours. Stick around after the setlist for the photo gallery of the evening.